Searching for the right rewards credit card is a daunting task when you are faced with hundreds of options. Luckily, we’ve already done most of the work for you. In this article, you’ll learn about the different types of rewards cards and find our top picks for each type. What are the different rewards credit card types? How to maximize the rewards? The interesting thing about finding the right rewards credit cards is that it involves very little actual choice. Yes, there are hundreds of options in total, but only a handful that are right for each person. Once you sort them by the type of reward, the level of spending they require, the shopping habits they reward, and the level of effort they take to be managed, you’d be lucky to be left with two or three options to choose from. After that, it’s just a matter of personal preference. In this article, we talk about our favorite rewards credit cards for common spending habits and cover a broad range of use cases. We also provide some background information of what kinds of rewards credit cards are out there and how to guide yourself towards the right one. We round up by sharing a few tips for maximizing the rewards on your existing cards. Hopefully, by the end of the article you will have a clear picture of which option is the right choice for you personally. Rewards credit cards are mainly geared towards either cash back or travel. Further down the line, these types are split into multiple smaller subtypes. These smaller subtypes differ on the levels of complexity involved in earning and redeeming rewards and on the specific places or product categories they want you to spend your money on. The list below shows our top picks for some of the most common spending patterns. Best for travel: Chase Sapphire Preferred® credit card. All-round travel companion with a hefty bonus and reasonable rewards rates. 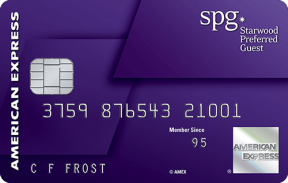 Best for hotels: The Starwood Preferred Guest® Credit Card from American Express. A solid mid-range hotel card with a large bonus and meaningful benefits. Best for families: Blue Cash Preferred® Card from American Express. Unprecedented cash back rate at supermarkets and a fair rate at gas stations. Best flat-rate cash back: Citi® Double Cash Card. The simplicity of earning 2% cash back on all of your purchases, no spending cap. Best rotating bonus cash back: Discover it® Cash Back. Not only earns 5% in rotating categories, but doubles all the cash back the first year. Best for customized cash back: U.S. Bank Cash+™ Visa Signature®. Each quarter you get to pick your own bonus categories. Best for dining: Capital One® Savor® Cash Rewards Credit Card. Unlimited bonus cash back at restaurants. Best for Business: Ink Business Preferred℠ credit card. Huge bonus and up to 3 points per dollar on business expenses. Best luxury travel card: The Platinum Card® from American Express. Uber credit, airline credit, and a host of valuable travel perks. 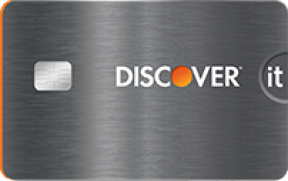 Best for poor credit: Discover it® Secured Credit Card. A secured card with cash back rewards and no annual fee. 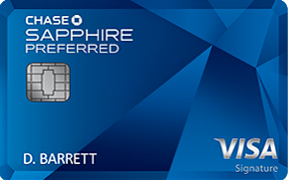 Chase Sapphire Preferred® credit card See terms on Chase’s secure website. 50,000 bonus points after you spend $4,000 on purchases in the first 3 months from account opening. Plus earn an additional 30,000 bonus points after you spend $20,000 on purchases within your first year of account opening. This offer is available to you if you do not have this card and have not received a new cardmember bonus for this card in the past 24 months. There is an introductory bonus offer of 50,000 points if $4,000 in expenses are charged within the first 3 months. Extra points could be also earned for adding an authorized user and for successful referrals. You earn 2 points per dollar spent on dining and travel. Points can be redeemed at 1.25 cents when booking travel through the Chase portal. Additionally, you can transfer points to one of the Chase travel partners at a one-to-one rate, giving you an opportunity to find even better redemption rates over there. You earn just one point per dollar spent on everything that’s not dining and travel. 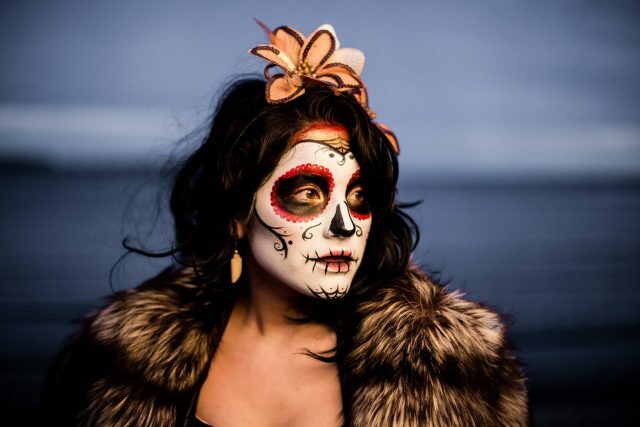 There is also an annual fee of $95, although it is waived the first year. Definitely a must-have for a frequent traveler. For its annual fee, the card is more than a fair earner. The intro bonus alone is worth $1,000 when redeemed for travel through the Chase portal. Its only shortcoming is the low base rate, but you could compensate for that by getting one of the Chase Freedom® cards and using it to earn more points in non-travel categories. Read full review. 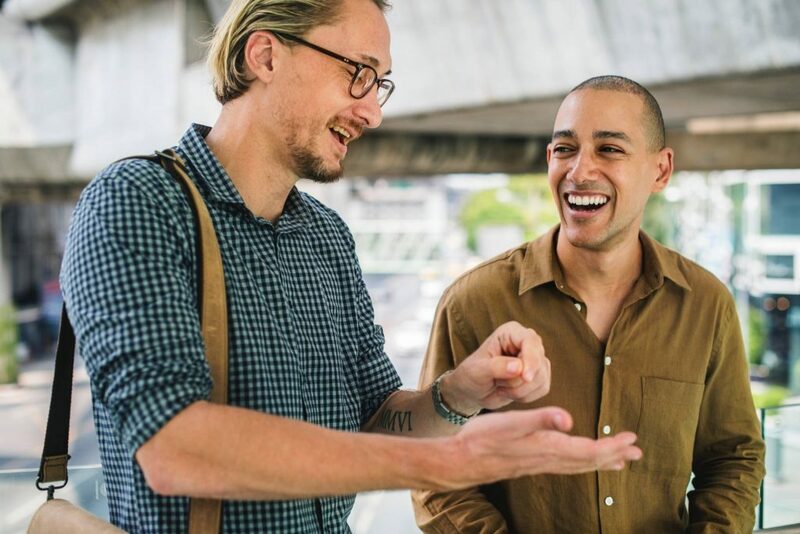 Chase Freedom Unlimited earns 1.5% cash back on everything, while Chase Freedom earns 5% cash back in rotating bonus categories. Neither one has an annual fee. The Starwood Preferred Guest® Credit Card from American Express See terms on American Express’s secure website. There is an introductory bonus of 75,000 points for spending $3,000 on purchases within the first 3 months. Additionally, you are awarded the Silver Elite Status within both SPG and Marriott loyalty programs and you get a complimentary one-night stay each year. Other than that, you earn 6 points per dollar spent on hotel stays and 2 points per dollar spent on everything else. There is an annual fee of $95 and it’s not waived the first year. For the mere $95 of annual fee, the card delivers a free one-night stay each year and ups your elite status, which is already plenty. The bonus is alright, and the earning rate of 6 points is fare, although it’s a bummer you’re not earning extra points on anything but hotels. But, overall, definitely one of the top hotel cards for its price. Read full review. 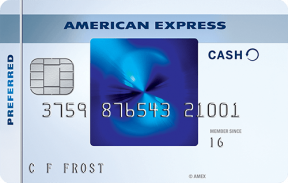 Blue Cash Preferred® Card from American Express See terms on American Express’s secure website. Earn 6% Cash Back at US supermarkets, up to $6,000 per year in purchases (then 1%). Earn 3% Cash Back at US gas stations and select US department stores and 1% on other purchases. You get an incredible 6% cash back rate on supermarkets and an attractive 3% on gas stations, while everything else is 1%. There is also a $250 bonus for spending $1,000 within the first 3 months. There is a annual cap of $6,000 for the supermarket category. Once the cap is reached, the rewards rate becomes 1% for the remainder of the year. No cap is set for the gas station spending. There is also an annual fee of $95 and it’s not waived the first year. While it’s rare for a cash back card to have an annual fee, the fee is completely justified by the highest bonus cash back rate we’ve ever seen. This is a no-brainer for anyone who’d be maxing out its supermarket bonus. Read full review. 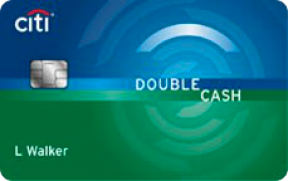 Citi® Double Cash Card See terms on Citi’s secure website. You are offered 2% cash back on all of your purchases. There is no spending cap and no limit to how much cash back can be earned. A curious thing, though, is that you earn half of that cash back when you make the purchase and the other half when you pay off your balance. With this system in place, you’d certainly have some extra motivation to not carry a balance. There is also no annual fee. Your cash back can only be redeemed in $25 increments. This is the right choice for anyone who doesn’t want to bother with all those bonus categories, spending caps, rotations and so forth. Flat rate cash back on everything, no limit – if you were to have just one card in your wallet, this would be it. Discover it® Cash Back See terms on Discover’s secure website. Earn 5% cash back in new bonus categories each quarter like gas, restaurants, Amazon.com, Sam's Club and more on up to $1,500 in purchases every quarter you activate. 1% cash back or more on all other purchases. The base rate here is just 1%, but each quarter you get a bonus category where you earn 5% cash back. Based on the past years, you might expect such categories as gas, groceries, restaurants, and online shopping platforms. Now, there are a couple of very similar loyalty programs out there. The reason this one made our list is its Cashback Match™ feature. At the end of the first year, Discover doubles all of the cash back you’ve earned, which is likely to be over $300. On top of that, there is no annual fee and no foreign transaction fees. The 5% bonus category has a spending cap of $1,500 per quarter. After it’s reached, the cash back rate goes down to 1%. There is also no introductory bonus. And then there is the complexity of tracking categories and moving your spending around in order to max out the bonus categories. *The Discover bonus categories for 2018. Click here to visit the source page. You get to earn up to 5% cash back and there is no annual fee to pay. Yes, there is also no intro bonus, but we believe that the unique cash back match feature is at least twice as valuable as the bonus would have been. Overall, a good earner for anyone willing to invest a little effort into watching those quarterly categories. 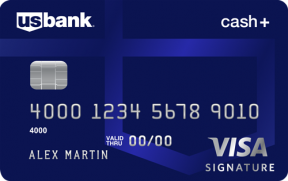 U.S. Bank Cash+™ Visa Signature® See terms on U. S. Bank’s secure website. 5% cash back on your first $2,000 in combined eligible net purchases each quarter on two categories you choose. 2% cash back on one everyday category. 1% cash back on all your eligible net purchases. No limit on total cash back earned. Earn a $150 cash back bonus after making $500 in eligible net purchases within the first 90 days of account opening. Existing and previous Cash Rewards accounts do not qualify for this one-time bonus. Each quarter, you can pick two categories where you’d earn 5% cash back and one category where you’d earn 2% cash back. For everything else, the base rate is 1%. Currently, 2% categories include gas, groceries, and dining, while 5% categories include a dozen of options like fast food, cinema, and utilities. For 5% categories, you also get an above average spending cap of $2,000 per quarter. There is no annual fee and an introductory bonus of $150. The only downside is that there are barely any good options among the 5% categories, and most people will have a hard time maxing them out with their usual spending. The flexibility of picking your own bonus categories is a unique and welcome feature that makes this offer so attractive. But to make this card a better earner than its competitors, you’d have to be a big spender in its bonus categories and plan your spending far ahead. 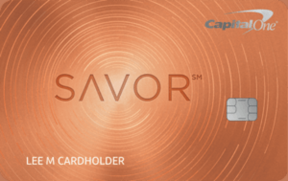 Capital One® Savor® Rewards Credit Card See terms on Capital One’s secure website. The bonus may not be available for existing or previous account holders. You get to earn 4% cash back on dining and entertainment, 2% on groceries, and 1% everywhere else. The absolute best part of this deal is that there is no spending cap on the bonus categories, so your cash back is unlimited. There is also no annual fee and an intro bonus of $500. The only way this card beats its competitors is if you spend in excess of $1,000 per month on restaurants. A good companion for someone going out a lot. But, even if you don’t, it still comes free, and you might as well add it to your collection of rewards credit cards and use it to earn better cash back rates on dining. 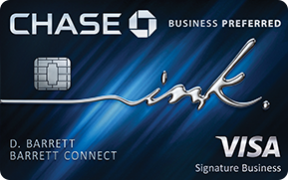 Ink Business Preferred℠ credit card See terms on Chase’s secure website. 80,000 bonus points after you spend $5,000 on purchases in the first 3 months after account opening. First and foremost, the bonus on this one is huge. You get 80,000 points after spending $5,000 within the first 3 months. An additional 20,000-point bonus may be earned for each successful referral. 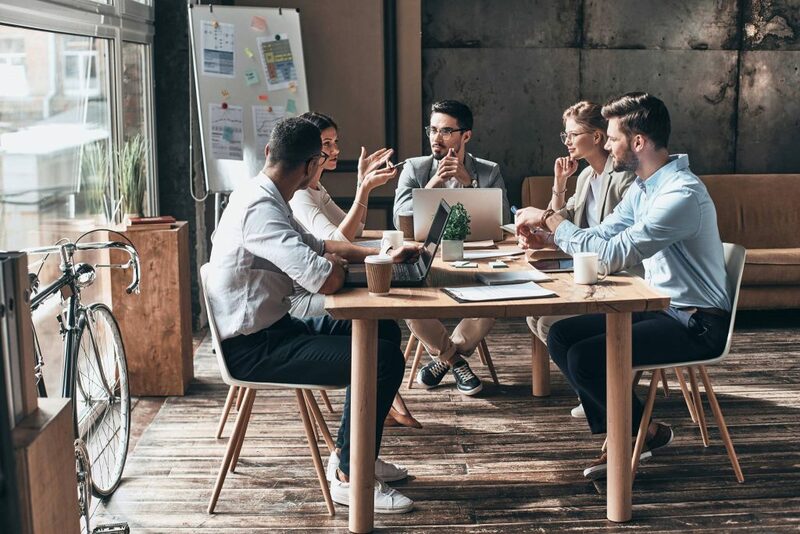 Then, you earn a bonus rate of 3 points per dollar spent on business-related expenses such as shipping, advertising, phone service, and travel. The spending cap on these expenses is $150,000 per year. On all other purchases, you earn the base rate of 1 point per dollar, no cap. The points are worth 1.25 cents when redeemed through the Chase travel portal. Alternatively, you can transfer points to one of the Chase travel partners at a one-to-one rate. The sign-up bonus alone is worth $1,000 when used to book travel through Chase, which means that if you got it, you’d break even on your annual fee for the next ten years. Couple that with the generous rewards rate and you’d be hard pressed to find a business card that delivers as much value through its loyalty program. Read full review. 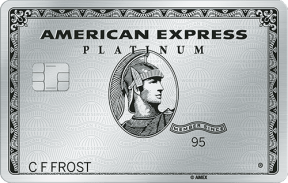 The Platinum Card® from American Express See terms on American Express’s secure website. The terms deliver a nearly endless lists of benefits and rewards. First, there is a sign-up bonus of 60,000 points, earned by spending $5,000 within the first 3 months. Then, there is $200 of Uber credit and another $200 of airline credit each year. And then you get free lounge access to a wide range of lounges, including the Centurion, gold status with Starwood and Hilton, and a $100 credit to cover your Global Entry application. And after all of that, the card even bothers to earn five points per dollar spent on airfare and hotels. One point on everything else. There is a $550 annual fee, not waived the first year. It’s also a charge card, which means you are not allowed to carry your balance into the next month and it has to be paid in full each time. The competition in this segment has some interesting offers, but we believe that The Platinum Card® from American Express is unmatched in that it provides both tangible benefits with real monetary value and nice-to-haves that highlight the status of its owner. All things considered, for a frequent traveler who appreciates the comfort the value of this offer is well in excess of its cost. Read full review. 2% cash back at restaurants or gas stations on up to $1,000 in combined purchases each quarter. Plus 1% cash back on all other credit card purchases. The key feature of a secured card is that it’s available to people with poor credit. Nearly everybody should be able to get approved for one. A unique feature of this particular secured card is that you also get to earn rewards while building your credit. You earn 2% cash back at restaurants and gas stations and 1% cash back on everything else. Additionally, Discover doubles all the cash back you’ve earned in your first year. It is also among the very few secured cards that have a clearly spelled out graduation option, allowing you to move from a secured to an unsecured card after you’ve managed eight months of responsible financial behavior. And there is no annual fee. When you open the card, you have to pay the deposit of at least $200 and the bank will keep it until you either graduate or cancel the account. Your credit limit will equal your deposit. When it comes to earning rewards on a poor credit, you don’t have that many options. 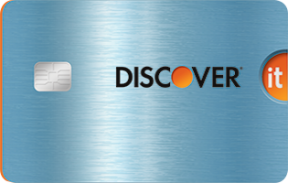 There are subprime cards, then some unsecured cards that ask for an annual fee, and then a secured card from Discover. And yes, a deposit may be inconvenient, but it’s temporary, and the rewards are fair, the cash back match feature is unheard of for a secured card, and, frankly, we are not seeing any better options. While rewards credit cards may be split into dozens of types and subtypes, broadly speaking, there are only two general directions: cash back and travel. Travel loyalty programs feature travel perks and earn miles and points that deliver best value when redeemed for either flights or hotel stays. And the exciting thing is that most points do not have a fixed value. With a little bit of research, you’d be redeeming your points for 1.3 cents on average. But values of up to 10 cents per point are also possible. On the other side, with no research, you might be dropping to as low as 0.5 cents per point. The effort you are willing to put in and the amount of traveling you actually do are two major considerations when applying for a travel card. Cash back loyalty programs are valued for their redemption simplicity. However many points you’ve earned, that’s exactly how many cents of cash back you get. So the redemption is very straightforward. When it comes to earning cash back though, you still get to pick your own adventure. Some rewards credit cards deliver a flat rate on all purchases, others have bonus categories, and yet others have rotating bonuses. So there is still some extra complexity available if you want to try to earn more than a flat rate. Your card is your partner, and the efficiency of your relationship rests solely on how good of a fit you are. Most loyalty programs are geared towards a certain lifestyle. It is reflected in the bonus categories, annual fees, spending caps, and redemption options. Your goal is to have all of those attributes as close to your actual spending patterns as possible. Only then will you’d be earning maximum rewards and redeeming them for things that you actually value. Any other way is a waste. Both travel and cash back cards come in different grades of complexity. Often, not always, the more complex the card is, the better earning potential it has. The problem is, if you neglect a complex card and start using it any which way, you’d end up earning much less than you would’ve earned with a simpler one. That’s why you have to be honest with yourself and pick the option that demands the level of effort you are actually willing to commit to. Picking the right card goes a long way, but there are a couple things you might try to push the rewards even further. It should probably go without saying, but the bonus is crucial. Some people even get card after card after card for the sign-up bonuses alone. And it’s not entirely crazy to do that. Sign-up bonuses are relatively easy to earn in a short time, and they often pack more rewards than you could make in a year by using the card in a regular way. So, even though the sign-up bonus is a one-time thing, it’s still an essential part of your benefits package. The average sign-up bonus on a mid-to-upper tier travel card ranges between $500 and $1,000, while sign-up bonuses on cash back cards range between $100 and $250. Some cards are so narrow-minded that you miss out on earning rewards on anything other than its one bonus category. So, perhaps you should get a couple of those narrow-minded cards together and use each one on categories where they earn most. The downside is having to keep track of your shopping. The upside is that you might almost double your rewards. A good example would be getting a couple of rotating category rewards credit cards to cover a wider range of bonuses. Another example would be getting Chase Sapphire Preferred to earn points on travel and dining, and then either the Chase Freedom or the Chase Freedom Unlimited to earn points in other categories. This one is easy. Let’s say the quarter is almost over and you still have some of the spending limit left for supermarkets. You really don’t want to let it go to waste and miss out on those bonus points. So, what do you do? You go to a supermarket and buy some gift cards for other places, like a movie theater, a restaurant, or some specialty store. This way, you earn rewards for shopping at a supermarket, but you are actually just buying credit to use elsewhere. Each store is assigned a merchant code, like groceries, gas stations, or electronics. Credit card companies rely on these codes when they assign rewards for shopping within specific categories. The only problem is that those codes are not always assigned correctly. A gas station may end up being a grocery store and vice versa. To make sure you are getting all the right rewards, you have to sometimes check your purchase history and look out for any inconsistencies in the way your rewards are distributed. Not a conventional place to shop, but a bank’s shopping portals might hide attractive deals not available elsewhere. 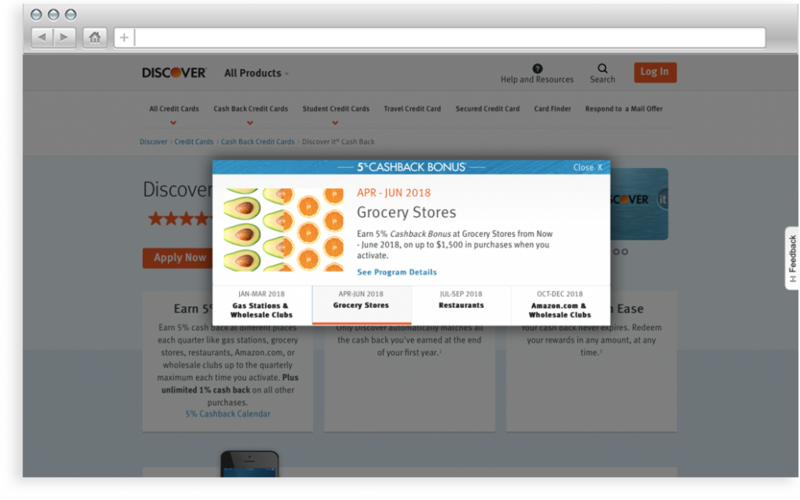 As an example, the Discover portal offers up to 10% cash back for select stores. And with a cash back match feature, you can double that at the end of the first year. Whether it has anything you might actually need is another question, but it wouldn’t hurt to take a look and maintain a general awareness of your options. Picking the right rewards credit cards is a personal process of finding a good match between the loyalty program features and your spending habits. Deciding whether you want a travel or a cash back card will already cut your options in half. After that, it’s all about your individual habits, places you go to, and the amount of money you leave there. And while there is no single best card, we believe we’ve done a good job listing the most appropriate rewards credit cards for the common use cases. Use our guide to help you decide, and good luck!